This gray wool fabric makes for a luxurious pair of trousers that work well with any outfit. The contrast light gray pockets bring an additional interesting layer of depth. 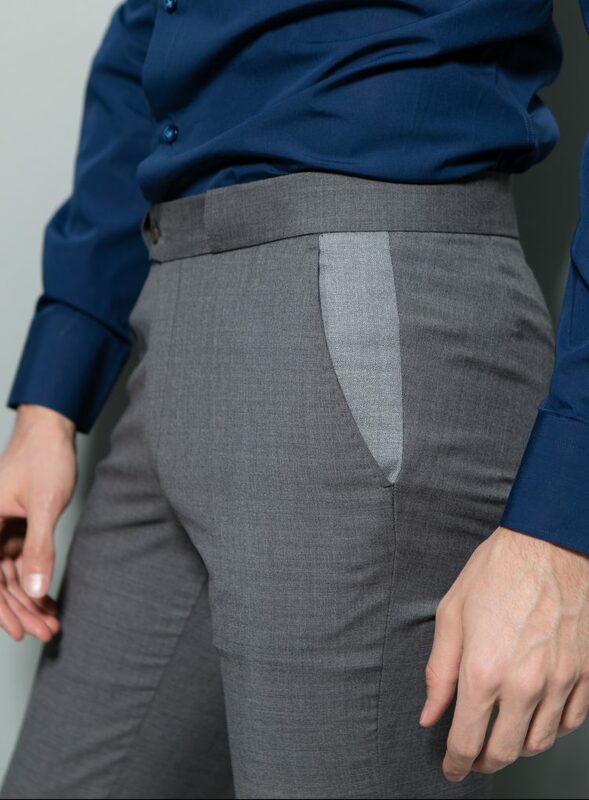 For added sleekness, these pants have an invisible belt loop. 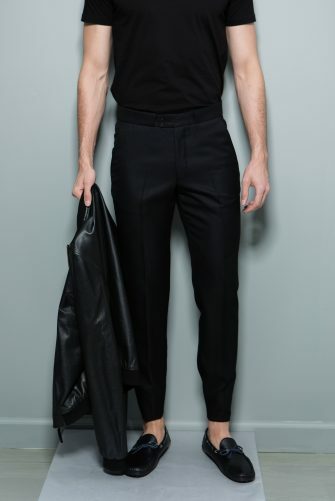 The raw finish allows these trousers to be easily hemmed to the length of your preference. A detail not to be over is the Signature Stephen F Royal Blue zipper. Round out the look with wingtips, loafers, or even sneakers.